Recent mitochondrial transcriptome analyses reveals the existence of small RNAs with short open reading frames (sORFs) derived from mtDNA previously undetected. These sORFS led to the discovery of MDPs encoded and transcribed by the mitochondria. These newly discovered peptides can play key roles in age-related diseases such as diabetes, cancer, atherosclerosis etc. What can MDPs do ? The MDPs are released from the mitochondria into the cytosol under stress, stimulated via metabolic aging or disease mechanisms. MDPs also are released via retrograde signaling due to free radicals/reactive oxygen species (ROS) and calcium influx. 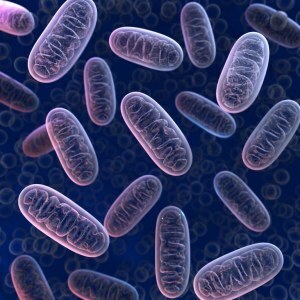 Consequently, cell death and signaling ensues to revive normal cellular activities to help ameliorate cellular aging. An in silico search revealed additional peptides in the same region of mtDNA as humanin; named as small humanin‐like peptides (SHLPs). The identified functional roles for these peptides and the potential mechanisms of actions differ in their abilities to regulate cell viability in vitro, and hence imply roles in disease mechanisms like apoptosis.